Way back in June, I posted a list of what I believe to be some of the best albums to study to. The article featured seven albums, and I promised to post a follow-up soon after. Well, it took a while, but here’s the promised follow up; however, instead of featuring eight, I decided to do 22. There’s just a ton of great study music out there! If you expand your horizons, you can find a plethora of music that you’ll love. I’ve tried to collect a broad, varied amount of music that somewhat breaks the mold for what people consider study music. To me, study music is basically whatever I can listen to without wanting to sing along, but I realize others may have a different definition. Nevertheless, it doesn’t hurt to try something new! This time around, I’ve decided to use a different approach for listening: instead of embedding a separate Youtube video for each song, I’ve included a Grooveshark widget featuring a playlist of all the choice cuts from each album. I’ve also included links to Amazon for each album so you can buy what you like. Enjoy! Note: All links on this page are set to open new tabs or windows in your browser. That way, when you find a link that interests you, you’ll be able to click on it without interrupting the playlist. If you’d like to listen to the playlist on the actual Grooveshark website, I’ve made it publicly available here. Why It Rocks: Mono is Japan’s best post-rock band. 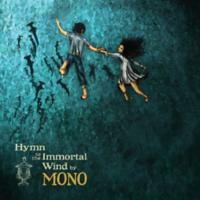 Their latest album, “Hymn to the Immortal Wind”, is absolutely my favorite post-rock album. Featuring epic build-ups and soothing passages that I’ve heard from literally no other band, this album is an experience. Echo-filled guitar passages compliment tons of cymbals, bells, and other instruments. The album moves from swirling crescendos to soothing lulls, all with complete mastery of pacing. It’s the kind of album that makes you feel like you’re climbing Mount Fuji, or standing at the base of a tidal wave. 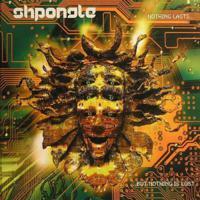 Why It Rocks: Shpongle operates within a unique genre called psy-trance, which is basically a much more interesting version of trance. Where trance overuses heavy bass and a small set of sounds, psy-trance utilizes thousands of noises, both existent and invented, to create a fluid tapestry of awesome. This album is party catchy, part acquired taste. However, if you give it a chance, and you like techno music, you should love this. Why It Rocks: This is a compilation of awesome chillout mixes. Chill is one of the absolute best genres for studying, so this is great study music. ‘Nuff said. Why It Rocks: The Kingdom Hearts series has some of the best music in video games. This solo piano album features some prominent tracks from the games, carrying with it a “field and battle” theme. As expected, most of the tracks on this album are adapted from battle themes and related songs from the soundtracks. It’s expertly played and a joy to listen to. Why It Rocks: Mooncake can be thought of as a cross between Mono and Helios. The band mixes a lot of epic, huge-sounding passages with the ethereal and relaxing nature of ambient music. Either way, this album can be thought of as an ode to the delay pedal. Why It Rocks: Koh Ohtani’s score to one the PS2’s best titles is one of the best scores to ever grace a video game. From soft piano passages to epic orchestral compositions, Ohtani’s work is perfect for wandering the game’s barren landscape and battling the Colossi alike. 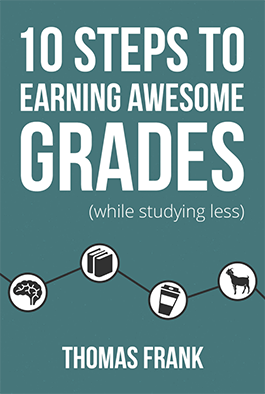 It’s also great for studying. Bonus: I simply have to include the song “Wanderer on the Offensive” to this list. It’s a remix done by OCRemix artists B33J, Cerrax, Sixto Sounds, and nonsensicalexis. The song is one of the coolest and most upbeat rock remixes I’ve heard in a long time, and definitely deserves to be included with this entry on the list. Check it out in the widget. Why It Rocks: Blizzard’s long-awaited Starcraft II satisfied fans with a mix of familiar gameplay and innovation, and it turned out to be worth the wait. Does its soundtrack live up to the game’s other qualities? You bet it does. This is a varied album, featuring everything from epic, movie score-like tracks to songs that sound like they were pulled out of a western. Why It Rocks: Miles Davis may be my favorite jazz artist (his album, “Kind of Blue”, is featured on my first study album list), but Clifford Brown is a close second. His music has a great raw quality to it, and the piano lines that permeate this album are cheerful. Why It Rocks: Who hasn’t heard about Daft Punk doing the score to Disney’s sequel to Tron? I might be going out on a limb here, but I’d say this is probably the most hyped movie score ever. Still, it lives up to the Daft Punk name. The album perfectly mixes traditional movie score arrangements with Daft Punk’s signature style. It almost makes you believe it’s possible for someone to bleed when they’ve been converted to computer data. Almost. Why It Rocks: Danny Elfman is the best movie score composer ever. While many will contest that statement by bringing up great names like Howard Shore and Hanz Zimmer, I’m sticking to my guns. His scores for “Edward Scissorhands”, “Batman”, and “The Corpse Bride” are all amazing. Still, my favorite is his score for “Spider-man”. It’s the most “hero-esque” of all of them in my opinion. Why It Rocks: Maybe you’d think a dude with a giant mouse head can’t make good house music, but you’d be wrong. Deadmau5 (pronounced, “deadmouse”) is a huge name in house music, and it’s for good reason. His stuff rocks. His albums all bring something different to the table, and most of them make for great study music. Why It Rocks: Not unlike Escala, Bond is a string quartet made up of attractive females who play awesome pop-inspired remixes of classical songs. What’s not to like? Why It Rocks: Helios might just make the most relaxing music ever. It’s calm, serene, and slow. If your life had a soundtrack, Helios would be playing when you’re sitting on a swing in a park looking at a sunset. Why It Rocks: Delirium has been making quality trance and other electronic music for a long time. Last year, they released an acoustic compilation of some of their best songs entitled “Voice”. This album is much more organic than their older material, and adds in a lot of acoustic instruments to flesh out their sound. It’s great for a long session of nose-grinding. Why It Rocks: World of Goo is an independent, award-winning PC (and now iPad) game that has the player connecting goo balls to create structures. Honestly, this game had me glued to my computer for hours when it came out. Kyle Gabler, one of the game’s developers, actually created the soundtrack himself; even cooler, though, is that it’s really good. Bonus: I have to include Sebastian Wolff’s excellent “World of Goo Piano Medley” in the playlist as well. It’s a 14-minute long piano medley, and I honestly enjoy it more than the soundtrack sometimes. Check it out. 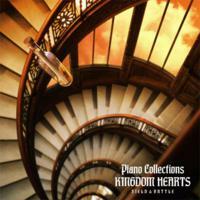 Why It Rocks: Much like the Kingdom Hearts piano collection listed above, “Piano Collections Final Fantasy XIII” is a solo piano rendition of some of the best songs from Final Fantasy XIII. While the game’s original soundtrack is fantastic, this album is better for studying. Why It Rocks: OverClocked Remix has long been one of my favorite sites; it features thousands of absolutely free remixes of video game music. Even though it’s all free, most of it is fantastic. Each submission goes through a rigorous judging process before being posted, so there’s not a lot of bland or boring music on the site at all. While the site mainly posts single mixes, they have created several “albums”, which are collaborations between mixers with a single game or series as the theme of each one. “Summoning of Spirits” is an album based around the Tales games (Tales of Phantasia and Tales of Symphonia in particular), and in my opinion it’s the best one. The opener, “The Unholy Wars”, is a fantastic rock/techno mix. There are also a lot of calmer songs great for relaxing. Did I mention it’s free? Buy It: Summoning of Spirits – Free at the album’s site (MP3 or FLAC) – this is a torrent, but it’s 100% legal to download. Why It Rocks: Rockstar’s latest open-world game, Red Dead Redemption, won numerous Game-of-the-Year awards and literally defined the western genre in gaming. 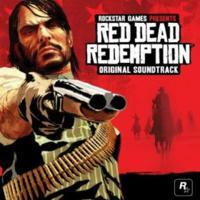 Its soundtrack played a large part in that success; the album is a fantastic compilation of western-themed music. This is by no means a country album; you won’t here any Toby Keith here. Rather, you get a lot of great instrumental music and a few vocal tracks that feel like they belong right on the range. Why It Rocks: Though many people wouldn’t consider The Who to be great study music, I do. Their music isn’t intense, and it puts me in a good mood. “Live at Leeds” is the essential live The Who album, and it features a lot of improvisation and extended solos that make it better than any studio album the band ever released. Why It Rocks: After I heard the opening line to the song “Retreat! Retreat!”, I was hooked. An ethereal sound, complete with icy-sounding bells, starts the album off. Then you hear it: “This negativity just makes me stronger. We will not retreat; this band is unstoppable.” From there, you get an upbeat post-rock album that stays with you long after it ends. Why It Rocks: Yoko Kanno is absolutely amazing. I featured her soundtrack to Cowboy Bebop in my previous study album list; now I’ll showcase another. Her soundtrack to Ghost in the Shell: Solid State Society is another triumph and an awesome study album. There’s a lot of great music here, and the album spans multiple genres. “Player” is very electronica-inspired, while other tracks like “Born Stubborn” carry a much more acoustic, organic quality. There are actually four Ghost in the Shell soundtracks, and they are all amazing; however, this is my favorite for studying. Why It Rocks: Yes, I know I’ve already listed a Ghost in the Shell album, but Yoko Kanno is so good that I couldn’t help but post this one as well. While “Solid State Society” is the best Ghost in the Shell soundtrack for studying, this one warrants a listing for one track alone: “Torukia”. “Torukia” is one of the most ethereal and spacious-sounding songs I’ve ever heard, and the acoustic guitar interlude in the middle is outstanding. It’s not a diamond in the rough, however; other tracks, like “Break Through” with its amazing bassline, stand out as well. Whew! That was long! I hope you’ve found some great new music to study to – in the process of writing this, I sure did. If you’ve got another great study album, let us know about it in the comments!